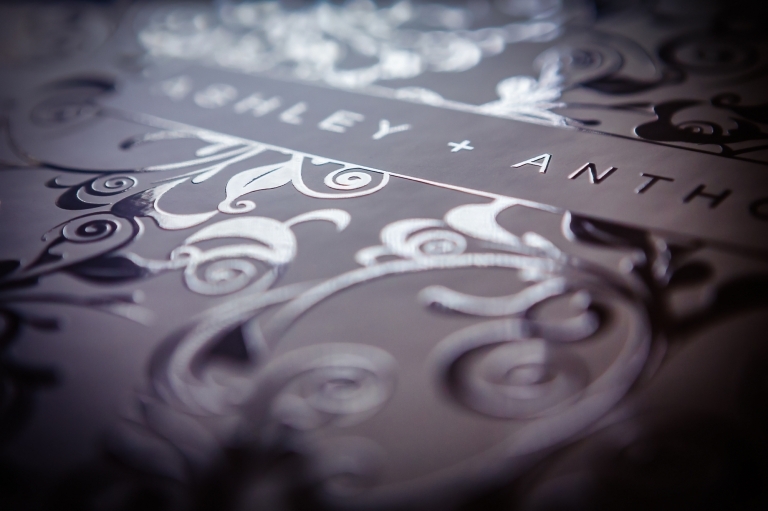 For my second album design of the evening, this time around I’m totally delighted to be featuring Ashley & Anthony’s wedding at the Hotel Colessio last May, and, a bit like today, what a scorcher of a day it was :-). For their album, the guys chose the very stylish “Young Book” from my lab, Graphistudio. The album itself featured the popular “crystal glance” picture cover with a white cloud leather binding. 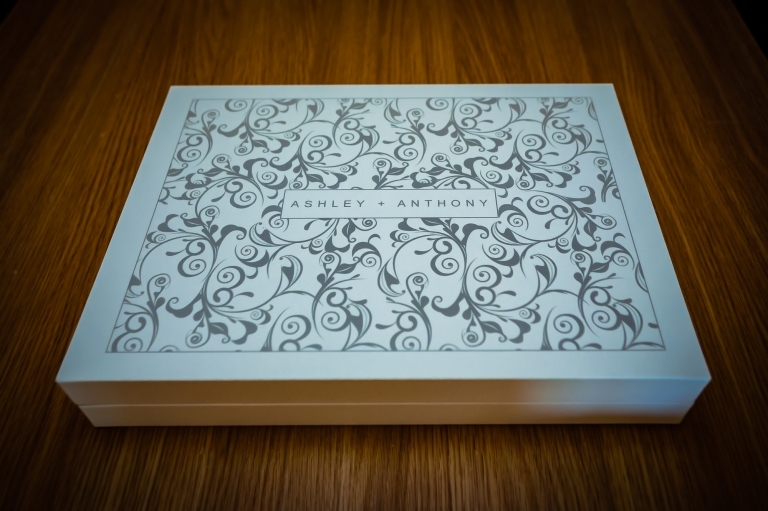 The box was also finished overall in white cloud leather and highlighted with my own signature grey “scroll” design which was raised and varnished for added impact. 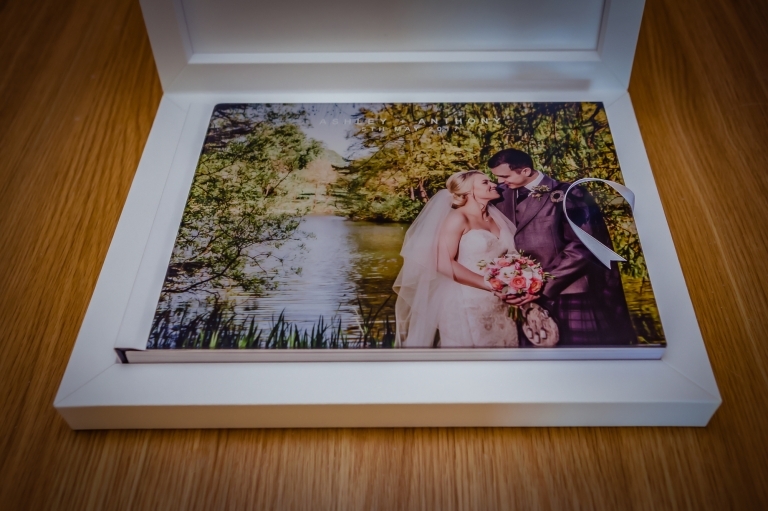 The 48 pages of loveliness were finished off using Canon’s “lustre” paper :-).